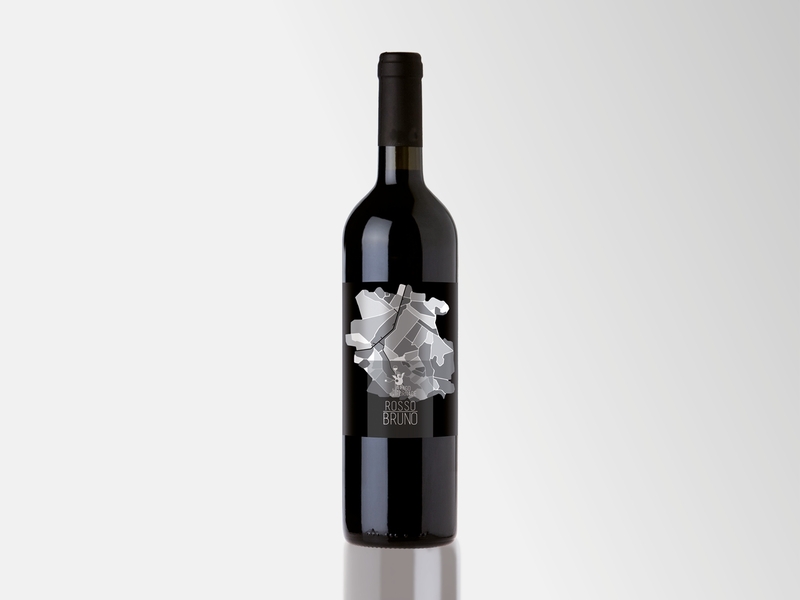 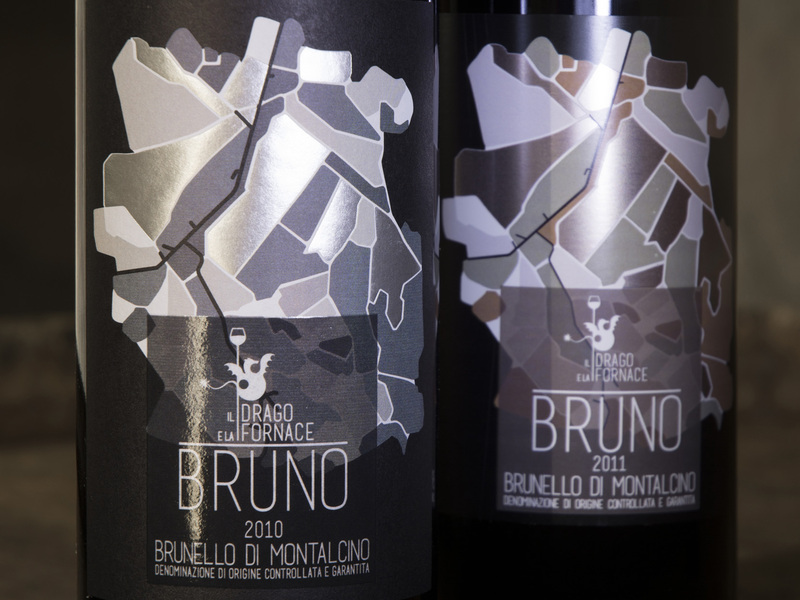 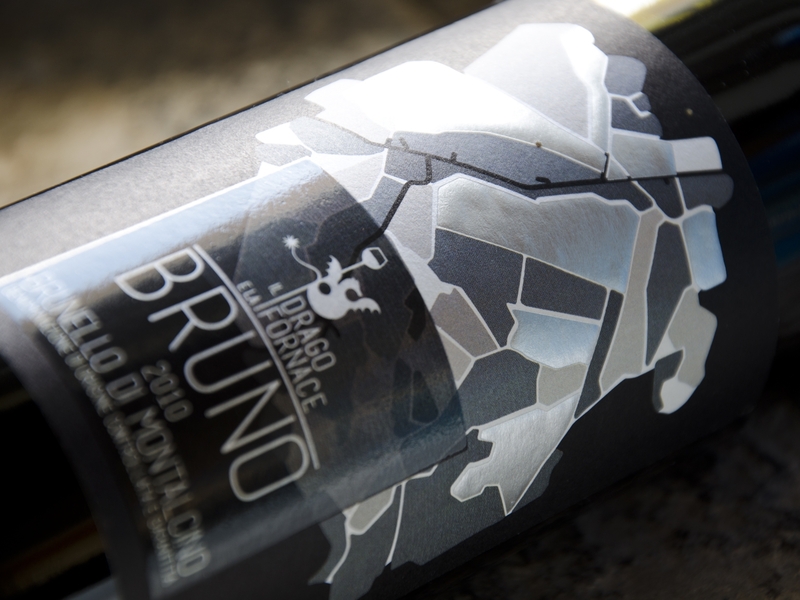 For these prestigious wines the farm “Drago e la Fornace” has decided to differentiate the wine year in two colors: the map of the vineyards, geometrically reinterpreted, takes in this 2010, limited edition, a silver palette. 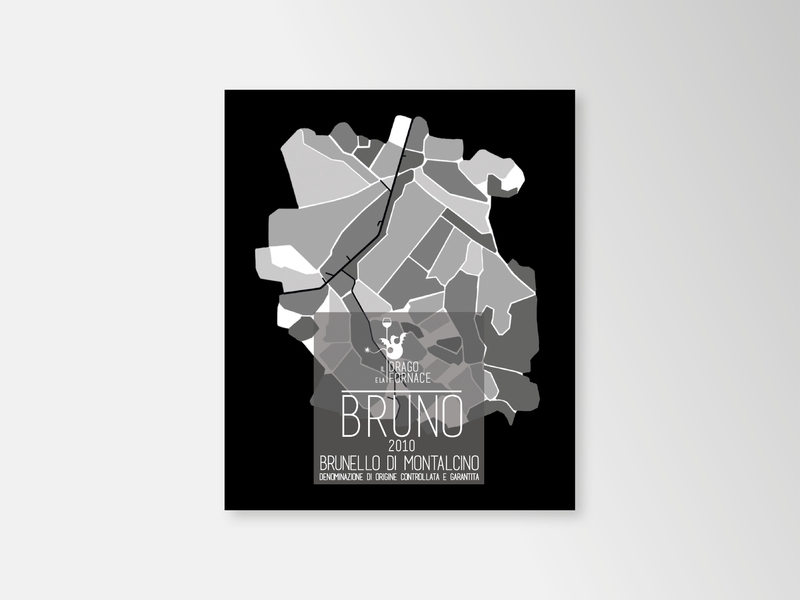 The map is surmounted by a glossy transparent sheet, where is written the name and the denomination. 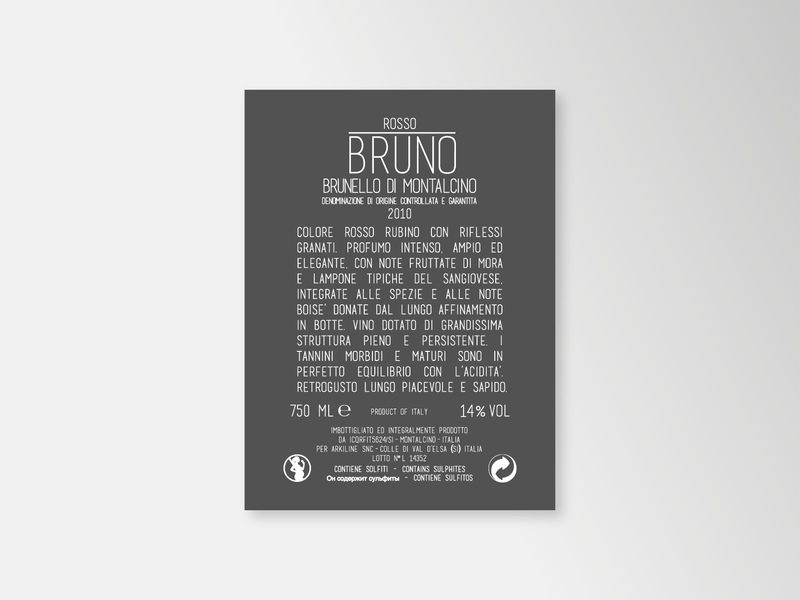 Natural paper, glossy paint on the front panel, hot foil silver on the backgrounds.